"I wanted to say that this is the best pair of insoles that I have ever used. As a matter of fact it is the only pair! These are great. I referred several people to you that have bought them." "I will let everyone know what I have found and that they are backed by a great company." "My feet were thanking me the remainder of the day. I haven't removed them from my shoes. They really are very comfortable and the massaging action keeps you going all day. 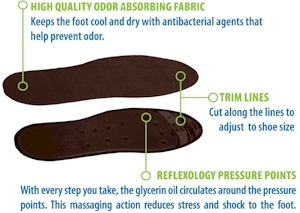 Foot Relief� Glycerin Filled Shoe Insoles help provide comfort and relief you just can't get with traditional shoe insoles or inserts. Our insoles work great to help relieve pain associated with long periods of walking or standing. Every liquid filled shoe insole contains just enough liquid to gently form to your foot giving you arch support, shock absorption, and protection from sore, aching, feet, legs, and back. The gentle massaging action of the glycerin helps to stimulate blood flow in your feet and legs preventing fatigue and soreness most of us get from lack of circulation while standing or walking on hard surfaces. 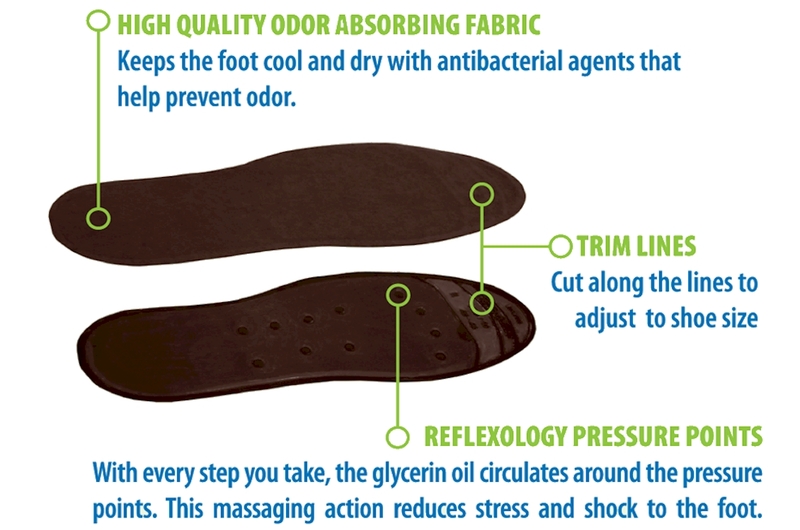 Foot Relief� glycerin filled shoe insoles are approximately 1/8 inch in thickness and fit just about any shoe. 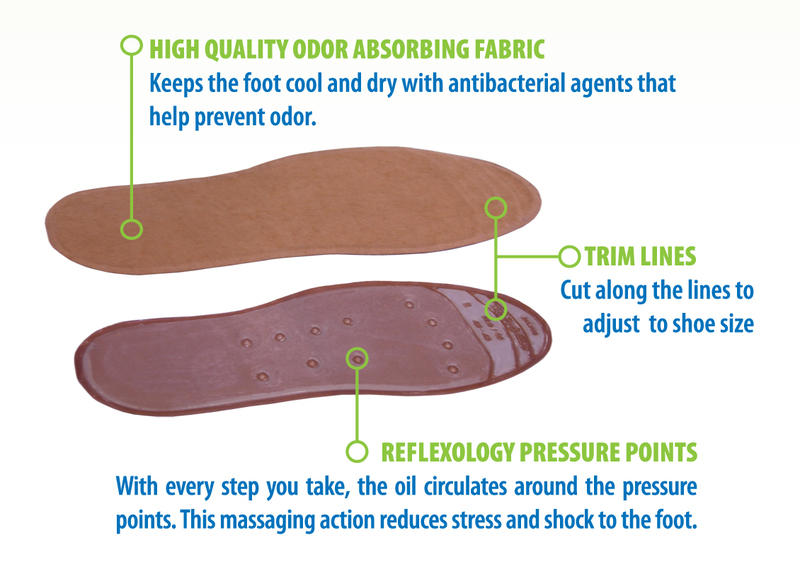 Our special covering absorbs moisture and can be hand washed to refresh the insoles. Our liquid filled shoe insoles are designed to be used as a comfort device only and are not a substitute for medical care or advice. On Orders of $99.00 or More.